Louie and Ralphie are the Ratso brothers. They first made their appearance in Kara LaReau's early reader chapter book, The Infamous Ratsos. They won me over with their attempts to be tough that resulted in acts of kindness. 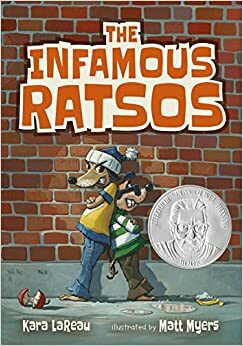 In their second book, The Infamous Ratsos Are Not Afraid, both Louie and Ralphie explore their fears. Louie and Ralphie, with the help of their friends, are turning a junk lot into the Big City FunTime Arcade where they can play carnival games all year round. Louie is afraid whenever he walks by the house next door because he has heard there is a ghost living there. Ralphie is afraid everyone is going to believe the rumor that he likes Stinky Stanko. Big Lou, Louie and Ralphie's dad, encourages them to face their fears. The Ratsos, both the brothers and the dad, are charming. The brothers look up to Big Lou, who, although tough, admits that he is afraid and gives them the wise advice to be the boss of their fears. Louie and Ralphie show their bravery as they take their dad's advice. In the process, Ralphie makes up for a past misdeed and Louie shows kindness to an elderly neighbor. Neither brother could be sweeter. This is a delightful book that will charm early readers. If you want to read more about the Ratsos, look for their first book, The Infamous Ratsos. 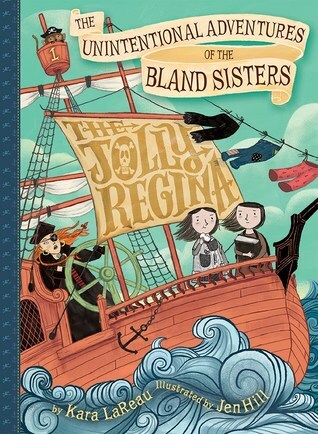 Kara LaReau's, The Jolly Regina (The Unintentional Adventures of the Bland Sisters Book One), is also a fun and humorous read. 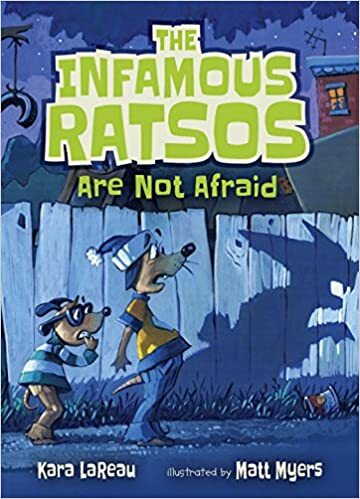 Thank you to the publisher, Candlewick Press, for providing my book group, #BookExcursion, with an advanced reader copy of The Infamous Ratsos We Are Not Afraid.